This year, I decided to make a few more projects for Winter than I normally do. 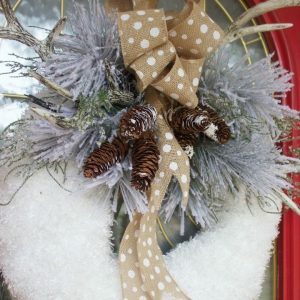 This wreath is so easy that even anyone who is “wreath-making-challenged” can accomplish the basic wreath. Add a bow or greenery as desired.